Disturbing Side Effects of Soda | What Does Soda do to Your Stomach? Learn more abut the harmful effects of soft drinks and what it does to your health. 1. Sugary soft drinks can increase the risk of developing diabetes. When you drink lots of sugared soda you are placing a significant amount of stress on your pancreas. This added stress makes it difficult for your pancreas to produce enough insulin to meet your body’s needs. 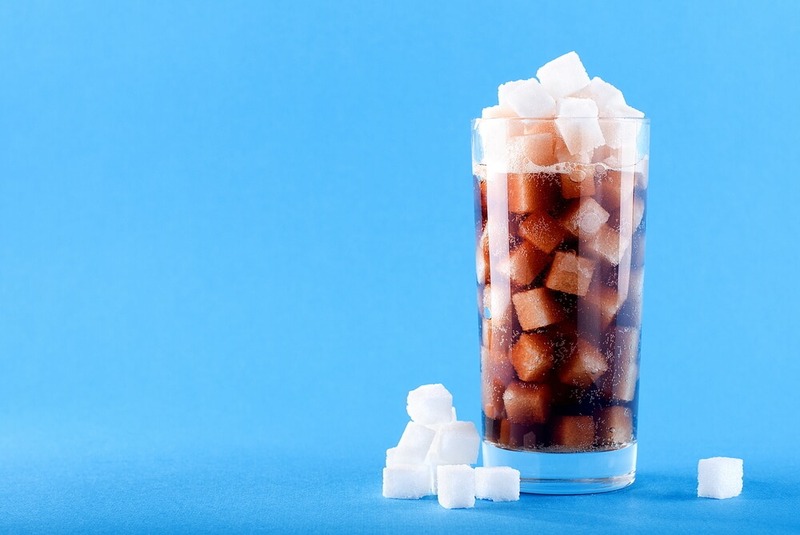 If you drink 1 to 2 sugary drinks per day, you are increasing your risk for Type 2 diabetes by 25%. This is a dangerous side effect of soda, and it is really not worth the risk. Soda that contains caffeine causes dehydration because it causes you to urinate more frequently. When you are dehydrated the cells of your body are functionally impaired, making it more difficult for them to absorb nutrients. Dehydration also makes if harder for your body to eliminate waste and toxins. 3. Soda is high in calories but low in nutrients. Soda is very high in calories, which are devoid of any nutritional value. One 20-ounce can of soda contains about 240 calories and a very high amount of sugar. Gaining excess weight is one of the harmful effects of soft drinks, and an average adult would have to walk for over an hour to burn up 240 calories. 4. Soda doubles the risk of developing kidney function impairment. Diet soda also has harmful effects on the body. Research by Harvard Medical School has shown that drinking diet soda doubles the risk of developing kidney function impairment. Artificial sweeteners, an ingredient in diet soda, has been linked to a variety if illnesses, disease and cancer. 5. Soda cans contain BPA. Even the packaging that soda comes in is harmful to your health. Soda cans contain bisphenol A (BPA) which is an endocrine disruptor and has been linked to many medical problems including heart disease, reproductive functions, and obesity. 6. Caramel coloring is linked with cancer of the liver, lung and thyroid, and leukemia. Did you know that the caramel coloring in soda is not made with real caramel, but is made by an unhealthy chemical process? This artificial coloring is linked with cancer of the liver, lung and thyroid, and also leukemia. Studies from the University of Pennsylvania claim that vascular problems are associated with products containing artificial caramel. These are some of the harmful effects of soft drinks that contain artificial caramel color or flavor. 7. Soda depletes your body’s mineral levels. The harmful side effects of soda also include a depletion of your body’s mineral levels. A study from Tuft’s University found that women had a 4% lower bone mineral density in their hips when they drank more than 3 colas a day. Phosphoric acid, an ingredient in soda, leeches vital calcium from your bones. 8. Soda increases stomach acidity, causing a slew of digestive issues. What does soda do to your stomach? One of the main ingredients in sodas is phosphoric acid, which causes an increase in stomach acidity causing acid reflux. Over time, the continual consumption of soda can cause damage to your stomach and esophageal lining and tissues. It can also cause digestive problems, and peptic or bleeding ulcers. 9. Soda consumption is linked to many health problems, including liver disease, heart attack, and stroke. Studies have also linked soda consumption with asthma, allergies, COPD, non-alcoholic fatty liver disease, damage to DNA in the mitochondria, heart attack, stroke, brain function impairment, and metabolic changes. There is no doubt that the harmful side effects of soda consumption should make you re-think what you are drinking. The next time you reach for a can of soda, stop yourself and drink something healthy instead.